Total transaction value in the Alternative Lending segment amounts to US$37.6m in 2019. Total transaction value is expected to show an annual growth rate (CAGR 2019-2023) of 12.7% resulting in the total amount of US$60.6m by 2023. The market's largest segment is Crowdlending (Business) with a total transaction value of US$29.9m in 2019. From a global comparison perspective it is shown that the highest cumulated transaction value is reached in China (US$222,404m in 2019). Reading Support Total Transaction Value in the Alternative Lending segment amounts to US$37.6m in 2019. Reading Support The Crowdlending (Business) segment is expected to show a transaction value growth of 12.0% in 2020. 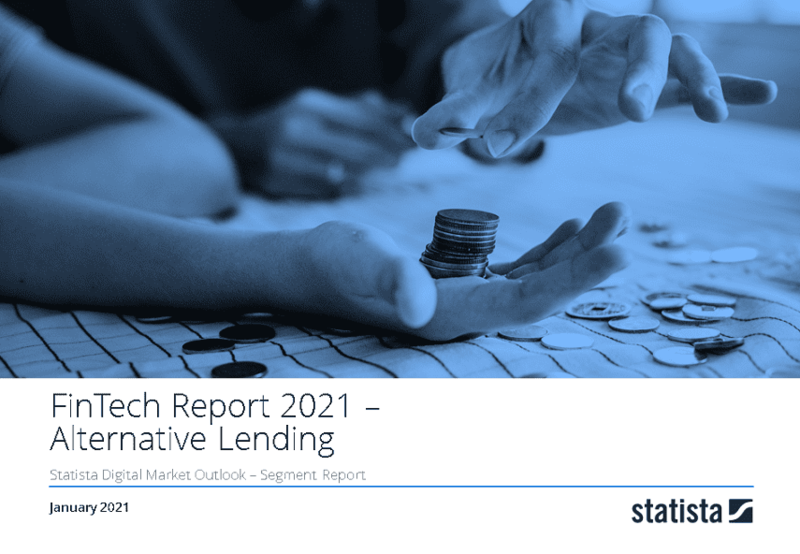 Reading Support In the Crowdlending (Business) segment, the number of successfully funded alternative loans is expected to amount to 11.2 thousand by 2023. The box shows the number of successfully funded alternative loans (within the last 12 months) in the selected market and region. Reading Support The average funding per loan in the Crowdlending (Business) segment amounts to US$3,471 in 2019. The box shows the average amount of funding per successfully funded loan in the selected market (market segment, region). The volume refers to the overall funding in the respective segment proportionally to the number of successfully funded loans in a one-year period. Reading Support With a total transaction value of US$222,404m in 2019, the highest value worldwide is reached in China. Here you can find more studies and statistics about "Alternative Lending".